The team at MCS has the knowledge and skill to manufacture labels for Industrial, Electrical, Pneumatic, Mechanical, and Hydraulic Controls and offers additional labeling solutions for Automotive, Alternative Energy, Architectural, Industrial, Medical, Educational, Commercial, Government, and Food Service industries. 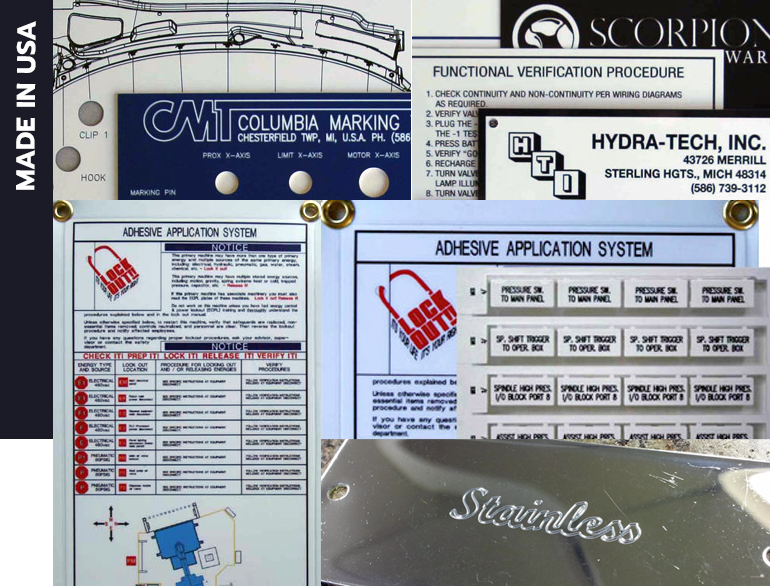 We offer laser-etched stainless steel, full color printed aluminum, vinyl stickers, plastic and aluminum nameplate tags, legend plates, ID plates, warning/caution labels, and safety signage. We offer a variety of labeling products with each category having its own unique process. 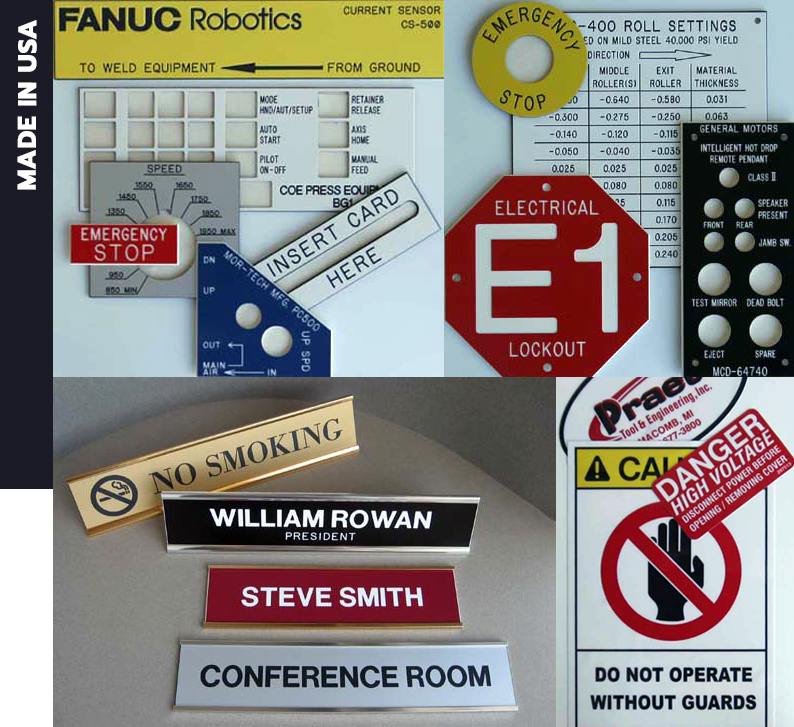 We can produce identification tags needed on control panels, lamacoid tags for manifolds, switches, safety gates and robot cells, or equipment tags to show flow patterns, maintenance instructions or various caution and warning situations. 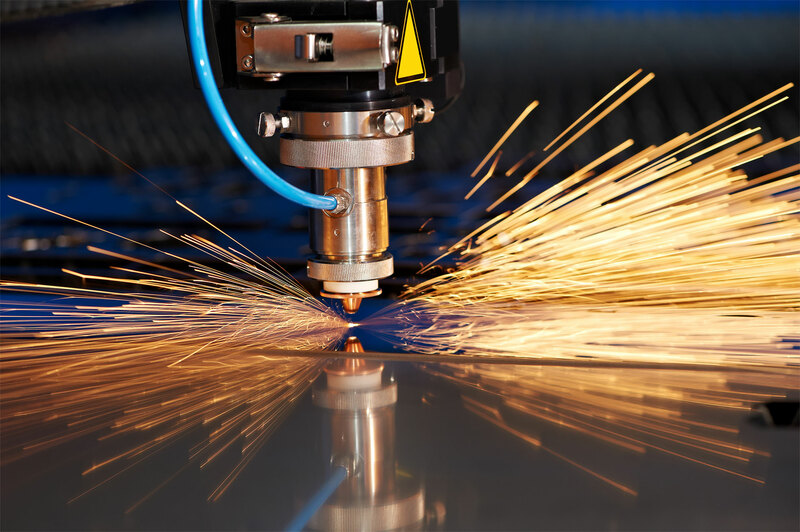 Whether it is rotary engraved legend plates, lasered stainless steel, printed aluminum, or Gravoply plastic sheet stock, there is a labeling technique that will fit your needs. Why Choose MCS Engravers, Inc.? With over 40 years experience in the industry, we fully understand the specifications required by the industrial / commercial customer and look forward to providing you with the best products, technology, and service to merit your business. We pride ourselves on delivering quick turnaround whenever possible. "Good enough is failure; therefore, only the best will do." Want to talk about our products?